In this article we will look at some of the locations that connects to samungli road. These locations are explained below. Samungli road is one of the main locations in Quetta city. The housing societies starts at zarghoon road near ufone office. At this location first is the commercial area including Dalaan restaurant and other showrooms. It is better area for Restaurants furniture store and shops of high end. Driving down west model town is on the south side of the samungli road. Model town is Porsche area. Model town extension is good for residential bungalows and offices are located in apartment buildings near the old “Pishin bus stop”. After a small drive towards west comes “Koyla Phattack” chok. Koyla phatack is a main location. A new fly over is built at this choke which is near completion. the road to the right goes to airport road and Askari park while crossing the railway pahtack you enter “Shahbaz town”. Shahbaz town has commercial and residential areas. The main commercial area is situated with samungli toad. Shops and small buildings populate the road from Shahbaz town Jamia masjid to central jail. Shahbaz town has three phase. Phase one is the considered to be the best location while Phase two comes at second position and Phase 3 and 3rd position. Residential land price is around 6000 rupees per feet. Shahzbaz town also contribute to samungli road food street restaurants. Its famous restaurants are hot n chili, and Saigon restaurant. Shahbaz is one fun place to be. Also has top schools and education centers. Driving on samungli road towards sunset. We pass the board office area. There is Benazir Family Park. Opposite the family park is another food point. The shops in night star complex and nearby markets are part of this food point which spans over open ground. Behind night star complex is city school. This road is called city school wala road has some small private housing schemes. Including seven star colony, professor colony and other. This is also good place to call home. This road has shops schools and other facilities available. The price over here is from 3000 to 4500 rupees. It depends whether you want commercial or residential property. 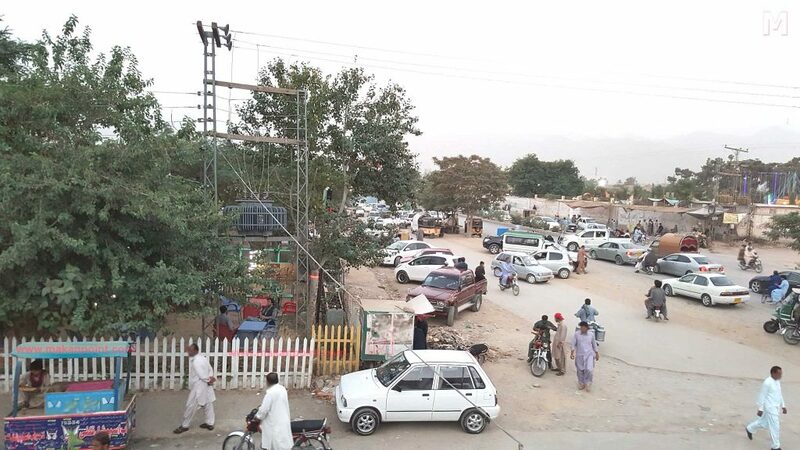 This road divide the private land from Jinnah town from north to south. City school wala road also has some apartment buildings. Omer heights is one of the best apartment building in this area. Many new apartment buildings are been built in this area. Do check this area if you are looking for some installment based apartment buying plan. Next to Benazir Family Park is Sui southern gas office. In front of Sui gas office is Jinnah town. Jinnah town is a large housing scheme which has residential houses and commercial area. Jinnah is sided by IT university on the south, by city school at the eastside, Paind khan road at the north side, and samungli road on the south side. Jinnah town is a Porsche area. It has new villas type bungalows. If you want good design for your new house than look at some bungalows at Jinnah town. The commercial area is getting bigger with new buildings having apartments and front showrooms. 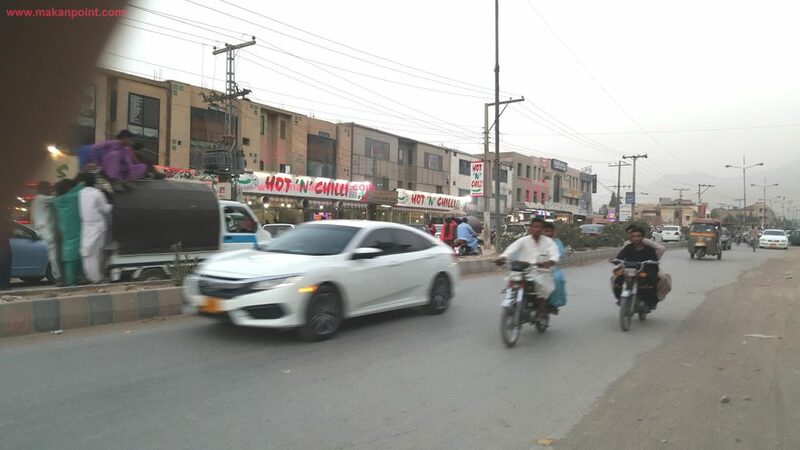 The central chorangi of Jinnah town is populated by restaurant bakeries super store and recently a new bank branch. Price is around 6000 rupees/ feet. next to commercial area is a Jamia massjid. Jinnah town mosque is said to be one of the biggest mosques in Quetta. Most of the population in this area of samungli road is on north side of samungli road. After some driving out of Jinnah town towards the south gets us to Samungli housing scheme. Samungli housing scheme is in front of the famous paanch futi choke. Samungli housing scheme is as charming as Jinnah town. Samungli housing scheme is smaller than Jinnah town. The land price in this area is around 5500 rupees per feet. There is no road cutting in Samungli housing scheme. Samungli housing is administered by Quetta development authority (QDA). The Transfer process of QDA is much easier and cheap. Samungli housing consists of Bungalows and commercial areas. Places are beacon house school, city smart school a community marriage hall and Small Park. Near panch futi choke is a private housing scheme Garden villas. It is on the south side of samungli road. It consist of new bungalows and plots. Down wards comes kakar town. It is also a private housing scheme similar to garden villas. Next to beacon house school is Arbab town. Arbab town is about the size of samungli housing scheme. It is a private residential area. Behind arbab town is sky villas, malik villas, qamar homes. This road leads to IT University Jinnah town campus. On the east side of university is Jinnah town while on the south and north side is private land. Gulshan Jinnah, Agha siraj villas Afrasiab housing scheme and VIP bungalows are the residential areas around IT University. On the north side of IT university is Killi barat and killi Paind khand road. These areas also has some private housing schemes with comparably cheap land. the price start at 500 rupees per foot and can go up to 2500 rupees per foot. Driving further south on samungli road after Panch futi and after arbab town comes a Christian colony. After that on the south side is Jangalat area behind jangalat is Ahmed villas. In front of jangalat is Kidney center of nephrology hospital. Kidney center is large real estate development. The road on the east side of kidney center hospital is called “lehri gate”. This road that starts at samungli road stretches far towards killi barat. This road also has some good private housing schemes. Asian villas, gulshan e Jinnahand gulshan e najeeb are few of them. In front of kidney center is tameer nau school girl’s branch. Workers office is also in the area with old age home. After kidney center comes sur pul. Sur pul in Pashto is red bridge. Sur pul is a bridge that connects Sabazal road with samungli road. After the bridge on the north side of samungli road is a road. The beginning of the road is developed with killis and houses but after a while there are open cultivated lands. This road goes through the killi and will take you to gudam silos on airport road. This country road is quiet and has beautiful cultivated areas. After surpul on the right side the first housing scheme is Mehmood homes. Mehmood homes is a new development. New bungalow are visible from main samungli road. Next to mehmood homes is standard bungalows. This is a private housing scheme. Bungalow sizes are around 1400 feet. It has private watchman with good administration. On the opposite of samungli housing scheme on the south side is Masjid Umer Farooq. A large mosque near completion. Next to standard bungalows is samungli heights apartments. Next to samungli heights is Medina homes. And our journey ends at Khaizai choke for right now we will be further including other areas in this article soon. Please do tell if the name of your area is not in this list.